One day, a boy finds a small, forgotten pebble in his pocket. So what? It’s just a pebble. There’s nothing special about it, right? Wrong! 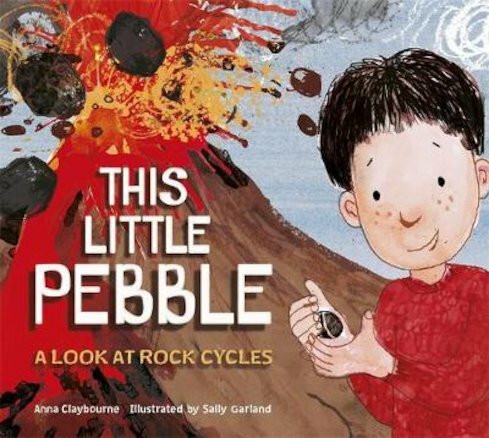 When the boy decides to find out about the pebble, he discovers an epic story that’s millions of years old. There are volcanoes and earthquakes, ancient fossils, space dust and sparkly jewels. There’s the cataclysmic birth of the Earth, and the mighty forces of water, wind, ice and time. Eventually, there’s a little round stone, just right to pop into a pocket. What could it tell you, if it could speak? If you want to know, read this book!